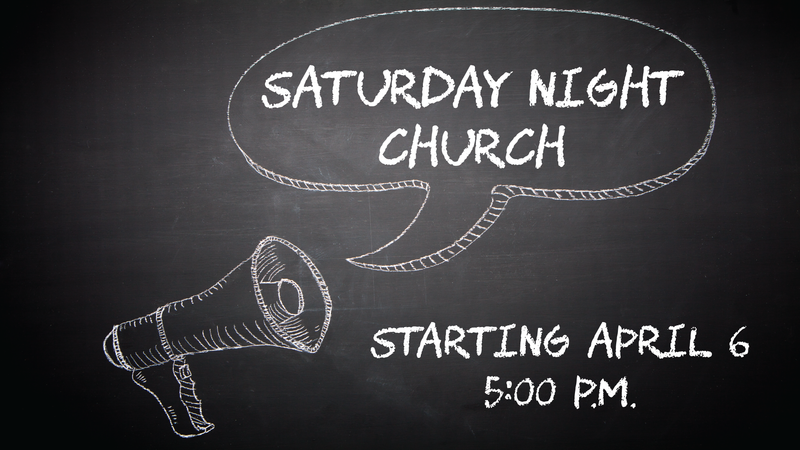 The growing congregation of South Bay Bible Church is pleased to announce a new Saturday night service at 5:00 p.m. starting April 6 – just in time for Easter. The new schedule will comprise three church times every weekend: Saturday night at 5:00 p.m. and Sunday morning at 9:00 and 11:00 a.m.
“The church is full because the community is responding to the life-transforming message of Jesus Christ,” said Martin Hawley, senior pastor. Best of all, you can go to church on Saturday night and sleep in on Sunday. The new Saturday night service will have the same message and music as Sunday morning.